My name is Tony Evans and first of all I want to thank all of you who visit The Frog and I just have a couple things I want to talk to everybody about. The name The Frog comes from my childhood best friend that for some reason we nicknamed him frog, probably from his obsession with tree frogs!! Some people like dogs or cats but he liked frogs and that’s cool, to each their own! Like any best friend you have we were inseparable, where there was one of us there was ther was the other, had lots of good times together and got in lots of trouble together too, but that’s life in a midwest smalltown where there’s not much to do but go fishing and cruise the backroads with a twelve pack of warm beer that you took from your dad!! Fifteen years ago we were both out of school by several years and both doing our own thing and the fun that had started out as just beer and cruising had taken a drastic turn for the worst and my best friend had turned to many addictions that he kept hidden pretty well for the most part, what drove him to this no one will ever know. Fifteen years ago I was sound asleep when I heard the phone ringing and I will never forget this day. It was 3:33 in the morning and the call was from his stepdad which was the officer on duty that night and ya it was the devastating news that nobody ever wants to hear. He had taken an AK47 and ended his own life due to the demons in his own life that he kept to himself, could it have been prevented if he just asked for help? 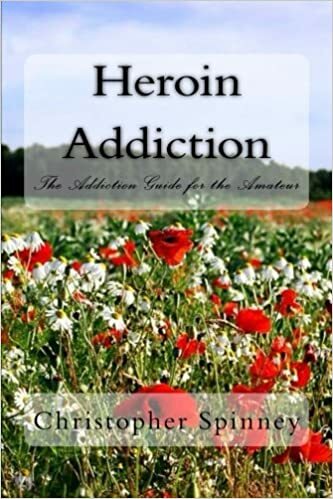 I wanted to share this book with everybody because we all know that Heroin is destroying people all over the world and most addicts will not quit or ask for help so if you do have a loved one or a friend or just someone that you are aware of , they might not like you for it but try the best you can to help them, they will thank you in the end for saving their life! I miss my friend still to this day and there isn’t a day that goes by that I don’t think of him so I started this site in his honor to try and bring health and wellness to all who need it. Not only did I lose a friend but I also lost a sister to this addiction, she hasn’t passed away but she has lost her life and her children due to multiple times in prison for doing anything she could to get money for this Devil we call heroin.. This is a great way to get started on the right path, I urge all of you to check it out, if not this book there are others out there and multiple ways to help.